Lima Sky wanted to monetize the DC comics edition of their highly-addictive Doodle Jump, Doodle Jump DC Super Heroes. Consistently ranked within the top 10 game in the US, Doodle Jump had a huge user base that Lima Sky wanted to retain. To monetize and retain users, Lima Sky integrated with InMobi Rewarded Ads. These ads allowed Lima Sky to reward their users with virtual 'crystals' in return for watching video ads. Players could use these crystals to defeat villains and progress faster and further in the game. 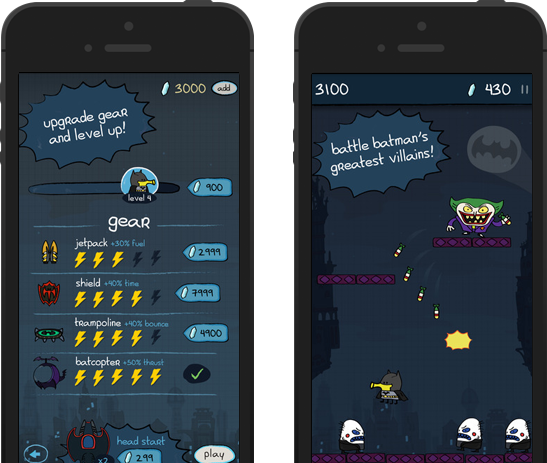 InMobi delivered a seamless rewarded ads integration experience, and doubled Doodle Jump DC Super Heroes' eCPMs in just 15 days.